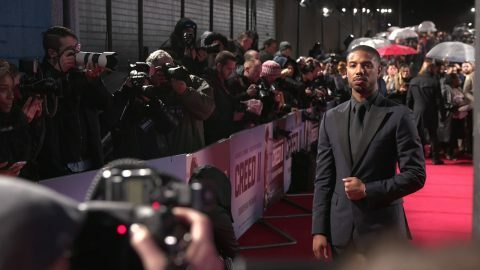 Tiger Films crew attended the Creed II premiere to film and interview stars Michael B. Jordan and Tessa Thompson, as well as Brigitte Nielson and Dolph Lundgren who were both reprising their roles from the original Rocky franchise. The team also had a second camera op on the carpet for Creed II, capturing b-roll. Immediately after, the crew dashed back to base where the DMS editors worked through the night with the client, editing soundbites, VNR and b-roll reels to upload onto PANTHER ONLINE ® the same night for media distribution.